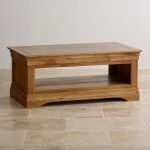 The French Farmhouse Rustic Solid Oak Coffee Table has an exclusive design inspired by antique French furniture. 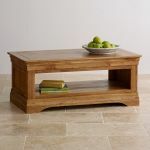 Made from high quality solid oak, it features gracefully flared cornices, panelled sides and an arched base. 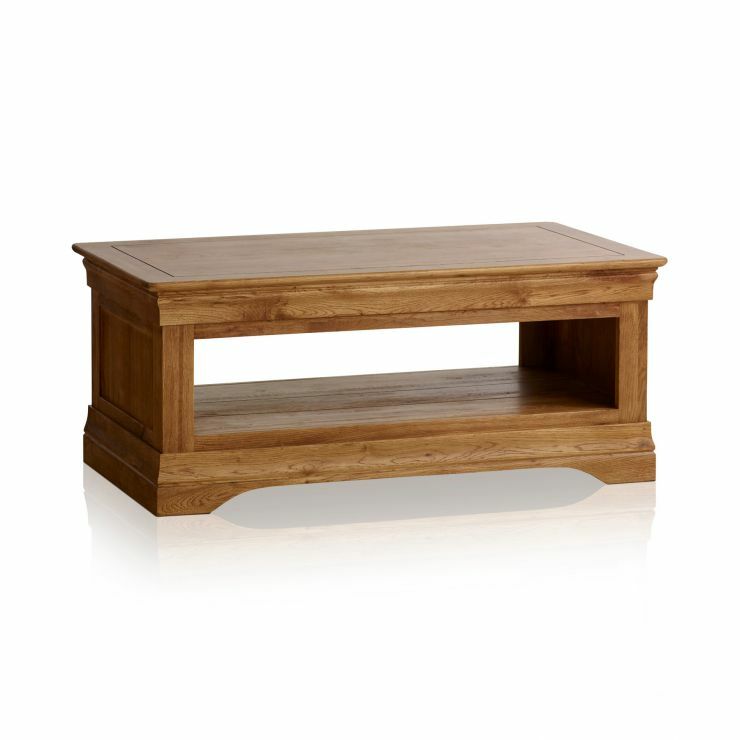 Beneath the expansive table top there's a large shelf, which is ideal for tidying away magazines and books, or displaying an ornament. 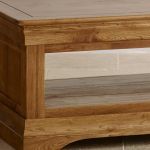 We only ever use the finest quality materials and you won't find any chipboard, MDF or veneers in any of our products. 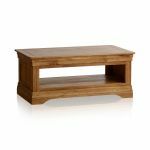 Quality finishing touches include softly rounded edges and corners, and an inlaid groove detailing which doubles as an expansion gap. 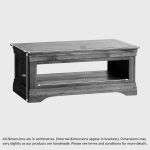 This takes account of the natural action of the wood throughout the seasons, adding to the longevity of the table. 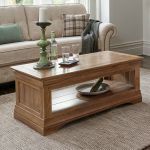 Delivery is free of charge to your room of choice and this coffee table forms part of a larger fully matching collection of French inspired furniture.